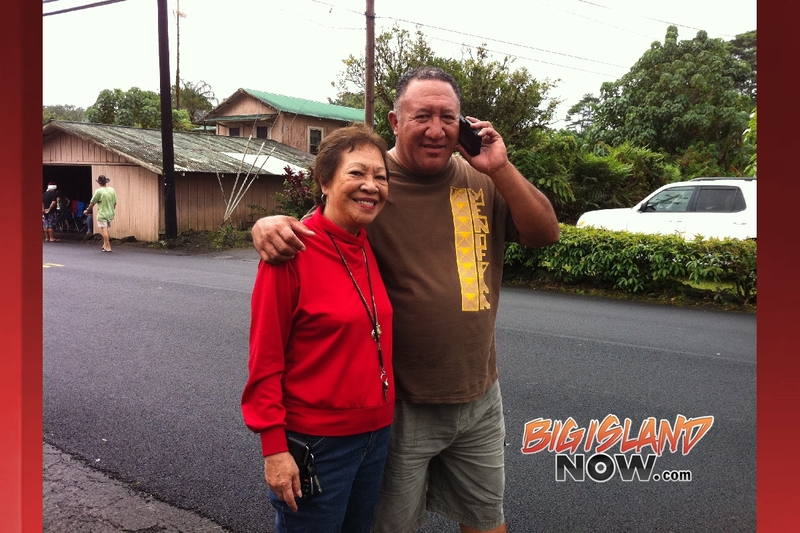 Pahoa residents have gone through a lot during the last few months with Tropical Storm Iselle devastating much of the area and now a lava flow threatening the town. Residents came out in full force today support the annual holiday parade knowing that this could be one the last one for the town if the lava does cover the town. The 2009 Pahoa Holiday Parade will be held on December 5th beginning at 10:00 am. For Parade Entry Application please see Maddie Greene at Pahoa Buy & Sell Next to Luquin’s Restaurant. DATE & TIME – Saturday, December 5, 2009, 10 am – sharp! Line up begins promptly @ 9:00 am. In the event of severe rain, thunder, lightening, etc. the parade will be cancelled and will not be rescheduled. PARADE ROUTE – Pahoa Village Road beginning at Dump Road & continuing to the intersection by Pahoa HS. STAGING AREA – Entries need to begin lining up near the beginning of the parade route by the Dump Road. They will be directed to their order in the parade by volunteers who will use their discretion based on all of this year’s entrants. PLACEMENT IN THE PARADE – Entrants will be placed in order at the discretion of the Parade Director (committee). This decision will be based on type of entry, whether an animal is part of the entry, noise level, age of entrants and primarily safety concerns. ENTRANTS – The Pahoa Holiday Parade is open to many different units including color guards, floats, marching units, emergency vehicles, equine or animal entries, car clubs, novelty units, commercial or business entries & political units. We welcome all groups and individuals to participate as entrants so long as they conform to the parade regulations. In the interest of presenting the finest entertainment value to the spectators, all groups are encouraged to enter decorated floats, music units and themed entries. All parade entries must be in good taste and contribute entertainment value to the Holiday Parade theme. Participants should be dressed in uniform/costume or ride in a decorated vehicle, float or bicycle. At check in, you will be provided a number, please place your parade number in the right front windshield of the vehicle (or as close to the right front of your entry as is possible) for proper identification at the judges stand. No driver or parade participant shall consume, possess or be under the influence of intoxicating or controlled substances during this event. No “For Sale” signs on any vehicles. CANDY DISTRIBUTION – In the interest of safety, there will be absolutely NO candy throwing from parade entries. Individuals may walk to the curb to distribute candy. ENTRIES WITH ANIMALS – You are responsible for all animals in the staging area and throughout the parade route. Horses should be calm and comfortable in the excitement of a parade setting. All animal entrants should have adequate drinking water provided for the animals and clean up details. EQUINE SAFETY – Unless involved with an entry including horses, all participants will refrain from entering the equine staging area. The parade director will make every effort to space out the horse entries. If you are placed after a horse entry, take care not to approach horses from behind, as that is a horse “strike-zone.” Do not crowd or push them forward, remember that they are animals not cars and need their space to feel comfortable. If you need to approach a horseback rider, the best approach is toward the shoulder, without eye-contact with the horse. We reserve the right to restrict content, signage and refuse access to the parade route for any unregistered, non-complying and/or inappropriate entry. Unacceptable entries will be directed to leave the parade staging area. Pre-registration is required. Thank you for your participation, unique entry and extra efforts to make the parade a spectacular celebration of the Holiday!